This has been what you have been looking for, being able to create your own PS4 controller they way you want it to look. Here you will be able to choose what style shell you would like on the controller, from red hydro dipped zombie skulls or a glossy pink. 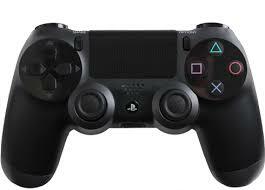 Not only that you will be able you choose the style and colours of the action buttons, D-pad and thumb sticks. with 1000's of different combinations to choose we are sure you will be happy with what you can come up with. If you are not email us and we will see what we can do! Get your hands on this amazing new fully customized official PS4 controller from Controller Modz. What they do is stripped down the controller to all its parts, then hydro dipped or paint the front shell, the back shell can also be done with a whatever you choose, giving this an awesome look about it. Each controller is finished with a top coat of a glossy clear lacquer to give it that extra protection and extra shine. These PS4 Custom controllers are all 100% genuine Sony products, brand new from the box and only opened to customise them. Lots of colours and designs to choose from, so don't be boring like the rest of the world, give you PS4 some style! With the Domina8or Pro Buttons, you can easily perform multiple actions at once. This can improve your performance by an impressive 25%. The Domin8or buttons can be input where the lower gripping finger rests are on the backside of your controller. After installation, simply remap any two buttons of your choosing for the left and right side. Take note that we must remove the Rumble Motors to install the Domin8or buttons.